From personal expenses to business costs, life is expensive. It may seem as if you have to open your wallet wherever you go. One way to save more money every year is simply to identify and deduct legitimate tax write-offs, which intersect your personal as well as business expenses. You may be able to deduct dental and medical costs for yourself, your partner, and any dependents when the total costs exceed ten percent of your adjusted gross earnings. In addition, when you or your spouse is 65 years old or over, you can deduct all medical costs that exceed your adjusted gross income’s 7.5 percent. Home renovation expenses are not typically deductible on an individual’s tax return. Although, when you make certain improvements to your house mainly for medical purposes, such as lowering cabinets for better accessibility or adding wheelchair ramps, you can deduct such home renovations as medical costs. However, when the renovations specifically improve your home’s value, one cannot claim them as medical expenses. 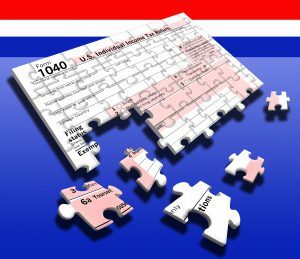 Whether you pay someone to prepare your taxes or do it yourself, using a tax calculator and bookkeeping concepts, you can write off charges on your list of miscellaneous tax deductions. Expenses can include electronic filing and tax return preparation fees. However, the preparation charges should exceed two percent of your adjusted gross income to qualify for such deduction. When you satisfy the IRS time and distance test requirements upon your relocation for a new employment, you can deduct moving expenses from your taxes. In this regard, movement of military personnel due to service obligations do not require them to meet any time or distance qualifications. When you return your jury pay as you also received your paycheck while you served on a jury, then you can deduct such jury pay from your overall taxable income. If you are an entrepreneur, freelancer, or simply a self-employed individual, always deduct your baggage fees for the travel you do for business purposes. Your mind might be blown to see how they add up and end up costing you. One can deduct home appraisal fees as a miscellaneous itemized deduction only when the real estate property was actually an integral part of a charitable donation. When you itemize your mortgage points or prepare interest that you paid to buy or construct your primary house, then you can deduct them as well. Typically, when you can deduct the entire interest paid on your mortgage, you can deduct all of the points as well. Any charges you paid to a bank, trustee, broker, or similar agent, simply to collect taxable dividends on shares of stock or interest on bonds, are deductible. Although, the actual securities, bonds, or stocks are not deductible. When you sell your house at any profit, you can deduct up to $250k of profit from your income. Remember, if you are married or filing jointly, you can exclude a maximum of $500k. It is a significantly painful experience to suffer a damage or loss to your house, household items and/or vehicles. If your insurance coverage does not pay for them, they are, at the very least, tax deductible.